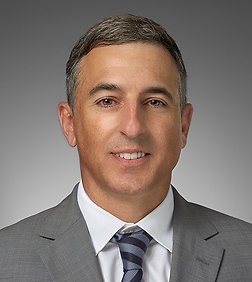 John Golembesky is a partner in the Corporate Practice Group in the firm's Downtown San Diego office. John represents clients in a variety of industries, with a particular emphasis on the healthcare and technology industries. As former general counsel for a media/technology company in Los Angeles, John understands how to provide practical, actionable legal advice to his clients. John represents clients in a variety of industries, in a range of matters. Healthcare: John has represented clients in the healthcare industry for over 20 years, with a particular focus on physician practices and physician-owned entities. He has represented large multi-specialty medical groups in a wide-variety of matters including complex hospital affiliations, medical practice foundation transactions, development and documentation of physician compensation methodologies, and operational matters. He also regularly represents both buyers and sellers in connection with the purchase and sale of healthcare entities, including medical practices, ambulatory surgery centers, management service organizations, and independent physician associations. John regularly advises clients concerning complex healthcare regulatory issues, including compliance with state and federal fraud and abuse laws, the corporate practice of medicine, and data security and privacy laws. Mergers, Acquisitions and Joint Ventures: John has a wealth of experience representing clients ranging from closely-held businesses to publicly traded companies in connection with mergers, asset sales and stock acquisitions. John also works closely with clients in structuring various types of joint venture relationships, including strategic alliances, co-development, and risk-sharing transactions. His M&A and Joint Venture work has included representing many industries, including healthcare, construction, automotive, e-commerce, bio-technology and other industries. Start-up and Emerging Companies: John has represented start-up and venture-backed companies in the healthcare, bio-technology, e-commerce, fashion and other industries. John has also represented venture capital funds in connection with their investments in portfolio companies. He frequently advises start-up and emerging clients with respect to formation and operational issue, including relationships between founders, raising capital, creation of master customer and supplier agreements, and trade secret protection and enforcement. Technology: John represents clients in the technology industry in matters ranging from start-up and company formation to complex joint venture and co-development transactions. His technology clients have included bio-technology companies, software developers and healthcare IT companies. Currently representing a 100+ physician multi-specialty medical group in Northern California in renegotiating its professional services agreement and compensation methodology with a statewide healthcare system. Represented a national home health and hospice provider in its acquisition of the home health and hospice operations of provider in the southeastern United States. Represented a California-based private equity firm in its acquisition of a large orthopedic practice in Florida. Represented a Medicare Advantage-focused physician practice in its affiliation with a Louisiana hospital district. Represented a 100+ physician medical group in Orange County, California, in negotiating and restructuring its professional services agreement and compensation relationship with a large medical foundation affiliated with the Providence Health System. Represented private-equity sponsored physician practice in multiple physician-practice acquisitions. Represented an early-stage company involved in researching and developing software, algorithms and protocols for advanced imaging analysis and genetic risk score analysis in connection with its receipt of investment capital from the life sciences and biotechnology division of a Malaysia-based public company. Represented a Texas-based primary care medical group in connection with its participation in the formation of a risk-bearing entity. Represented national behavioral health provider in its acquisition of the California operations of another national behavioral health provider. Represented large multi-specialty medical group in Central California in connection with sale of assets to publicly traded physician practice management company. Represented large multi-specialty medical group in Northern California in connection with affiliation with medical practice foundation and negotiation of professional services agreement. Represented group of limited-partner surgeons in connection with sale of majority interest in ambulatory surgery center to a joint-venture of a public university and a publicly-traded company. Represented emergency physician medical group in connection with negotiation of provider agreement with hospital. Advised medical group client with respect to regulatory and compliance matters, including Medicare billing, supervision requirements related to non-physician practitioners (such as physician assistants and nurse practitioners, and HIPAA compliance. Represented healthcare information technology and management services company in connection with Medicare billing and supervision requirements, preparation of management agreements and technology contracts, and advice related to compliance with HIPAA and HITECH. Represented physician-owned management services organization in connection with preparation of shareholder buy-sell agreement, management services agreement and provided advice regarding compliance with federal Stark law. Advised specialty medical group in connection with Physician Services Agreement with large multi-specialty medical group to provide specialty services related to multi-specialty group’s health plan contracts. Represented medical group in connection with exclusive in-license of proprietary technology to establish diabetes treatment center and formation of related management services organization. Represented healthcare information technology consulting firm in connection with entity formation and development of master agreements. Represented clinical trial management company in connection with preparation of agreements with physician trial participants. Represented large multi-specialty medical group in Orange County, California in connection with the negotiation and implementation of its affiliation with a health-system affiliated medical foundation. Represented purchaser of multi-specialty medical practice in asset sale transaction.